Not too long ago, Christopher Sia contacted me to ask me if I might be interested in recommending his Home Study Course Realistic Pencil Portrait Mastery to my visitors. He indicated that this course is designed specifically to teach you how to draw faces realistically, as pictured in the image to your left. I agreed to take a look at his course to see if it would be something you might find useful and worth investing in. I will only recommend products or services that I either personally review myself, or come recommended by other artists in this industry. I personally own a copy of the Realistic Pencil Portrait Mastery Course and have carefully read through the entire thing cover to cover, so rest assured, you are reading an honest review here. Speaking of honesty, I am obligated to tell you that I will receive a small commission if you purchase this course through any of the links on this page. This is Christopher’s way of thanking me for recommending his course. This is not the main reason I am writing this review however. I honestly believe this course will help you and I wholeheartedly recommend this course to anyone who has a sincere interest in learning how to draw portraits realistically. I have been involved in the visual arts niche for some time now and I have seen many products come and go. Many of them are terrible quite honestly. Some of these products are sold by people who could care less about you or your interest in becoming a better artist. So it is very difficult to trust anyone these days. This is definitely not the case with Christopher Sia. After speaking with him personally, I can tell you that he has a sincere interest in helping you succeed. He has created an amazing product here at an amazing price and once you see what comes with this course, you will agree. It has been said, that if you can draw the human form, then you can draw anything. 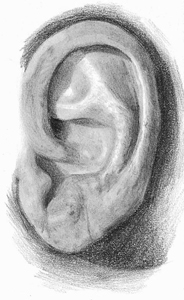 Drawing realistic pencil portraits is one of the most difficult hurdles for beginners to overcome. 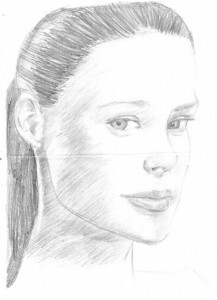 It can be extremely frustrating when trying to capture the likeness of a human face realistically if you do not have the right step by step resource. Well now you do! 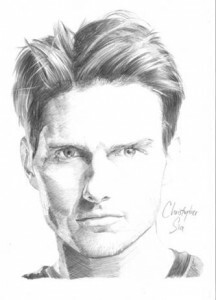 What Exactly is the Realistic Pencil Portrait Mastery Course? Christopher Sia has invested a great deal of time and effort into creating this fantastic home study course. This course consists of 5 drawing ebooks in PDF format totaling 208 pages of detailed content and 605 high quality illustrations and images. Together, these amazing resources will guide you step by step through the process of pencil portrait drawing mastery. Let us now break down the course and tell you exactly what you will be getting for your small investment. What I find most appealing about this course is the amount of detail Christopher goes into explaining everything. I know of no other portrait drawing course this elaborate. Christopher goes above and beyond many other courses on portrait drawing with detailed instructions, high quality images and fantastic bonuses. Its important to note that Christopher was a beginner just like you at one point. It took him years of trial and error to become as good as he is today. I say this because you may be looking at your current work and skill level and feel that you may never be able to draw realistic portraits. Get that out of your head right now! 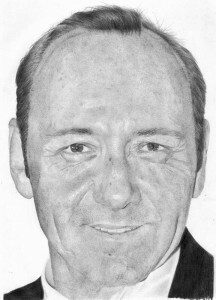 With patience and hard work, anyone can draw portraits like a master. Christopher did not achieve this success over night. He practiced and practiced and perfected his craft. And now you can reap the benefits by purchasing his course today. 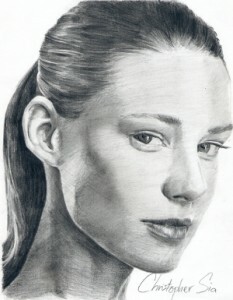 Follow this link for the free step by step pencil portrait drawing tutorial by Christopher Sia. I want you to see first hand how talented Christopher is. This way you know you are buying a quality product from someone who actually knows what they are doing. The image to your left is taken directly from this free tutorial. Christopher was nice enough to share this lesson and I really appreciate his generosity. Go and take a look at this free pencil portrait lesson and then come back here and read the rest of this review. You will see first hand why this course is called “Realistic”. I know creating a portrait of this quality may seem like it is a lifetime away. Its not.. Once you go through this course, you will begin to see how quickly you will be able to draw quality portraits yourself. The lesson will open up in a new window for your convenience. Each lesson comes with what are called “Process” or “Mind” maps . These are essentially outline summaries of what was covered in each of the lessons. 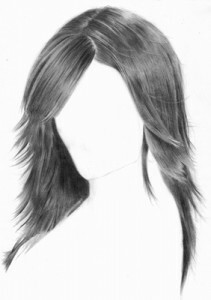 If you are going to practice your portrait drawing, then you are going to need reference pictures. 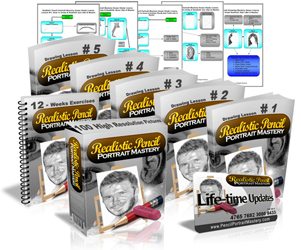 This bonus includes 100 high quality black and white photos made up of 70 faces and 30 facial features. Very handy! This is by far my favorite bonus. This could easily sell as a course all on its own. This is a wonderful supplement to the main course that includes additional instructions not found in the main course. 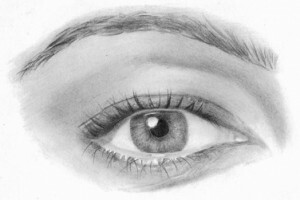 For instance, in the 8th week, christopher teaches how to draw realistic wrinkles around the eyes. This is not covered in the main lesson on drawing realistic eyes. This means, whenever Christopher updates the course, you will receive an email with instructions on how to download the update free of charge. Christopher Sia wants you to be completely satisfied with this course. Christopher would like you to take 2 full months to use his course. If after this time you are not completely satisfied, simply send him an email and he will refund your payment completely. No questions asked. No hassles. You won’t need to do this however. I know you are going to be completely satisfied! With so many drawing books and courses available today, how do you know Realistic Pencil Portrait Mastery is the right one for you? Is it really worth the money? I spend a great deal of time online searching for resources both free and paid to recommend to my visitors and subscribers. I carefully searched for resources on pencil portrait drawing and could find nothing this elaborate and comprehensive. You could spend hours online searching for free low quality tutorials or spend 1 minute and get your hands on this course today. In my opinion, purchasing this course therefore should be an easy decision and most definitely worth the small investment. Ultimately however, your success is dependent upon how much time you invest into becoming a better portrait artist. So when you do download this course today, be sure to go through the course diligently and practice every day. Ready to become a portrait drawing master? Excellent! All you need to do is head on over to Christopher’s Website now and purchase the course and download it immediately to your computer. Its that simple! I do hope you enjoy the Realistic Pencil Portrait Mastery course! Those are very impressive portraits! 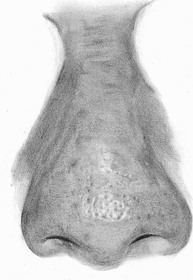 The nose is so amazing, all the way down to the pores. Thanks for posting this! This is awesome.. learned a lot..
very well done and educating for the new artists.thanks.rkb. I enjoy Christopher’s talented work. Thanks so much for making it possible for others to improve and learn from your work. Please email Christopher directly at : christophersia@pencilportraitmastery.com for assistance with you order. Thank you.